The ultimate bucketlist item ! 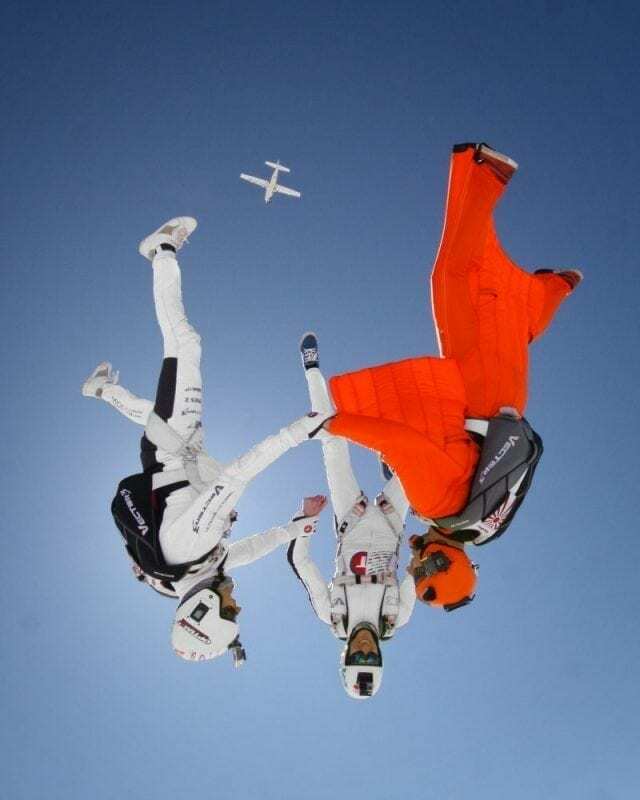 The easiest way to do a parachutejump is to do a Tandem skydive. Most skydive related questions have been asked and answered. Get your answers here. Skydiving is easier than you might think. Take the leap and experience it for yourself! Paracentrum Texel is perfectly equipped to service teams and funjumpers. 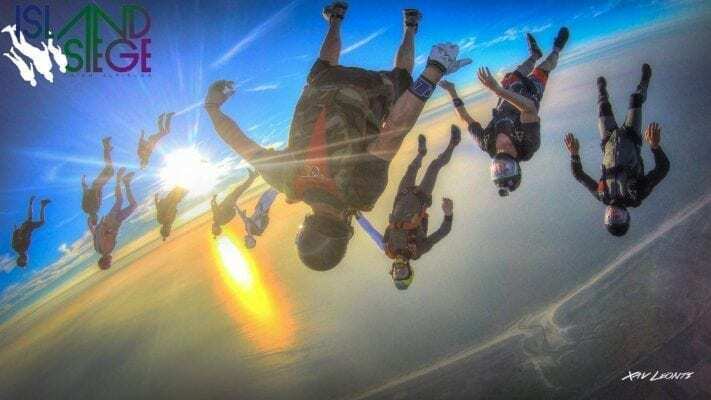 Whether you want to learn how to skydive, want to do a Tandemjump or have made many solo jumps; Paracentrum Texel is the place to be for parachuting in The Netherlands. Holland’s most scenic location with the friendliest and most professional staff you could wish for. The easiest way to do a parachute jump is to do a Tandemjump (also known as a Tandem Skydive). After receiving a short instruction you’ll be securely attached to an instructor. You can hang back and let the instructor do all the work as you enjoy the exhilarating experience and breathtaking views. There is no age restriction for making a Tandem skydive. If you’d like to learn how to skydive by yourself; we offer courses from 2 days to a full week. Perfectly suited to combine with a short holiday break on our beautiful Island. From time to time we like to write a full length article based on a frequently asked question. Those articles you’ll find below. If you’d like to see all our articles, please visit the weblog page on this website. 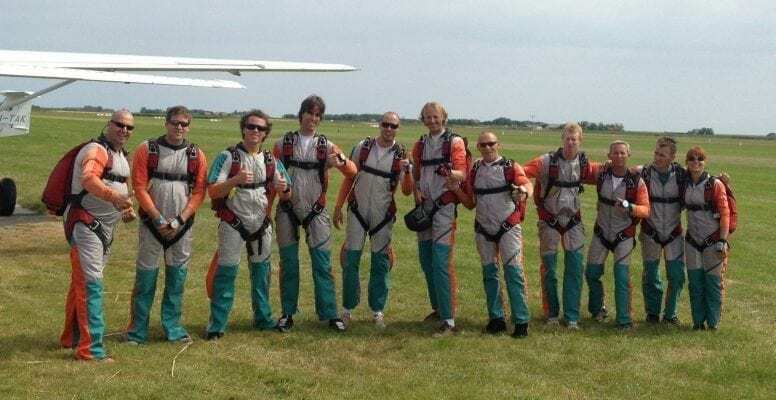 Also, there’s a page dedicated to answering the most frequently asked questions with regards to skydiving and parachute jumps at Paracentrum Texel. Skydiving is something i’ve always wanted to learn to do! Always dreamed about exiting an airborne airplane all by yourself? Depending only on yourself and your equipment as you safely freefall until you open your parachute. Learning how to skydive is probably much easier than you think! Paracentrum Texel offers a variety of parachuting courses for those interested in learning how to skydive. Each course starts with a day of groundschool, then we really kick things off and go airborne! There are a few different courses available. The shortest can take as little as two days to complete. More comprehensive courses take about a week from start to finish. Combine your next holiday on Texel with a skydive and parachute course! A spacious hangar, creaper-area, team-rooms, landing in front of the hangar, professional manifest, coaching in all disciplines and on all levels and an abundance of packers. Solo jumpers can self manifest using the BurbleMe app on iOS or Android. Our loads fly to 13.000 ft and on some occasions even to 15.000 feet. We share our facilities with our subsidiary Tessel Air. Tessel Air offers scenic tour, photo and video flights and introductions to flight lessons. Tessel Air is Texels local airline. Tessel air has been around just as long as Paracentrum Texel and both companies have close ties. Despite the growth Tessel Air has seen in the last thirty years, the informal personal touch has remained. Tessel Air is the friendliest family airline in the Netherlands. Skydive; Boogie till you drop! At least four times a year Paracentrum Texel organises a big event. These events draw people from all over the world. 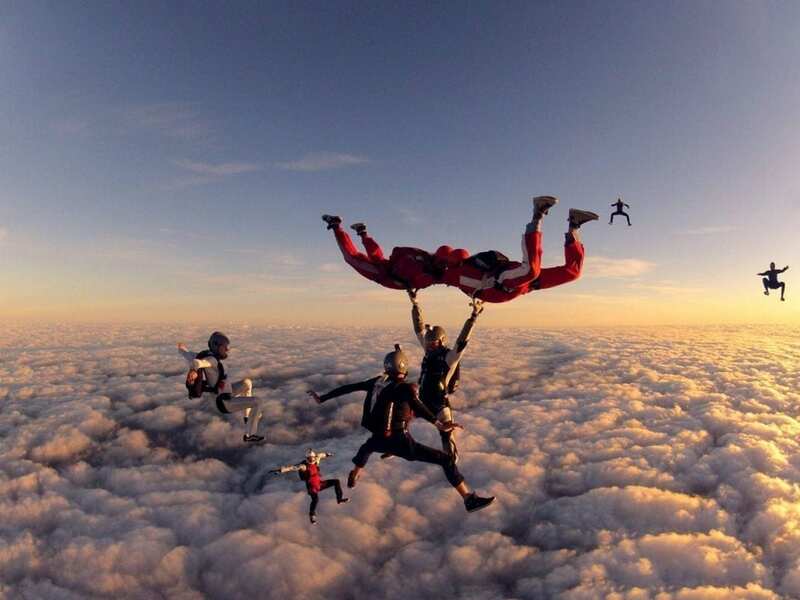 Each of the events focusses on a different disciple in skydiving, but they all have one thing in common. Rain or shine, it’s always a ball. 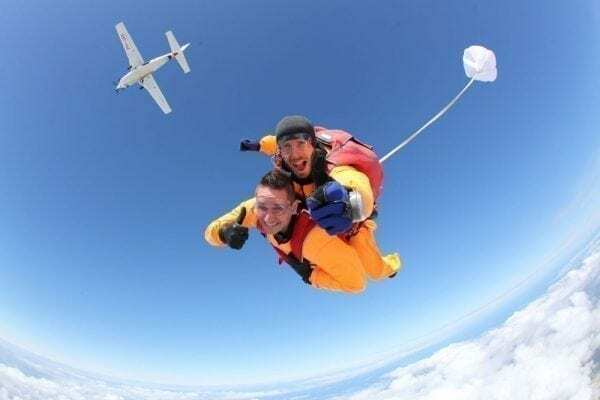 Armin van Buuren treated his staff to a very special company event… everyone was invited to come to the Paracentrum and to do a Tandem Skydive. Watch the videoclip and see how truly spectacular it is to jump out of an airplane over Texel. Read the blogpost Book your Tandem jump now!